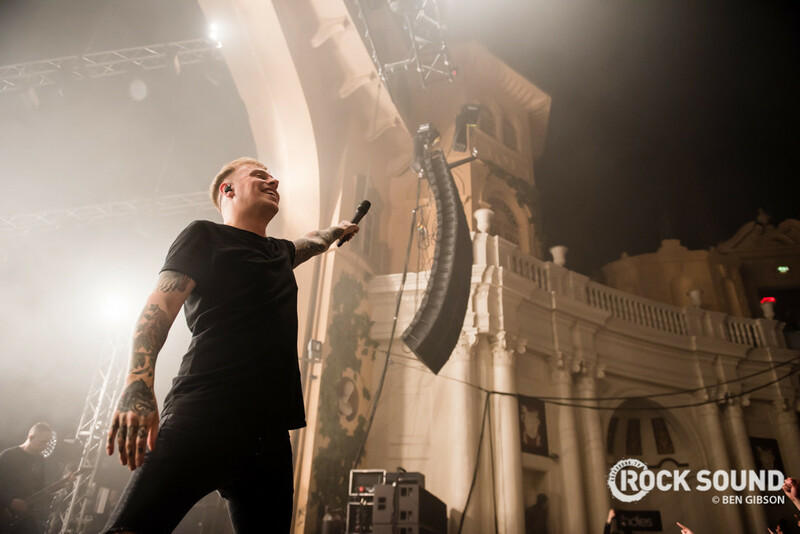 Architects' Sam Carter and Dan Searle talk new music, new lyrics and playing their biggest ever UK headline show at London's Alexandra Palace. Dan Searle (drums): “We just want to make a massive night of it. It’s a big event, a big celebration for everyone. Everyone knows what the band has been through. Sam: “I feel like now, shows and especially big shows like Brixton have meant so much to people in the crowd as well, because it’s crazy that people have invested so much time in our band over these years to see us get to this level. Dan: “It’s odd because the trajectory of our band is so unusual. We sort of pottered along for a decade at a lower level barely making ends meet. We’ve persevered and to then suddenly find ourselves in this position is quite unusual. Dan: “After we played Brixton.... That was the career pinnacle off my bucket list. There was nothing beyond it, and I came offstage at Brixton... I loved the show, but afterwards I felt quite… a bit empty, like, ‘Well, that’s it’. Dan: “Genuinely, bands live and die by their songs, so it’s all well and good doing Ally Pally but we’re dead in the water without a good album, so up until we play Ally Pally our focus is on making sure we write some good songs. CAN YOU TELL US ABOUT HOW NEW MUSIC IS PROGRESSING? Sam: “It’s going really well. When we finished the last tour we knew that was when the writing was really going to start taking shape. “Dan and Josh have been writing, Ali’s been writing, it’s been a lot of work but it seems to be flowing very naturally and it’s actually fun and we almost have too much stuff. Dan: “There’s just a lot of pressure. The circumstances are unique and we feel the responsibility to... I feel like the attitude should be given that we’ve lost Tom just to try and make something half decent, but we kind of want to keep getting better. Sam: “And I think people know that we have very high standards, and if we didn’t truly think it was better than ‘All Our Gods...’, it wouldn’t come out. DO YOU WISH YOU’D HAD MORE TIME OFF OVER THE PAST YEAR? Dan: “We were a little bit silly in that we just said ‘yes’ to everything. It’s been a bit too much. [Reading & Leeds was] our last show of the year so we’re fine, we’re right at the end and it’s been great, but we’re all pretty burnt now. Sam: “Not that we didn’t feel grateful before, but I feel like we feel very honoured to be still able to be in a band and still be playing shows. DOES IT FEEL LIKE THE WORLD NEEDS AN ARCHITECTS ALBUM RIGHT NOW? Sam: “We get asked this a lot regarding the next record because obviously of our political stance and what we’re about. Sam: “I feel like for us, writing lyrics about this sort of thing and writing lyrics about what we’ve been through can be very cathartic and very helpful. 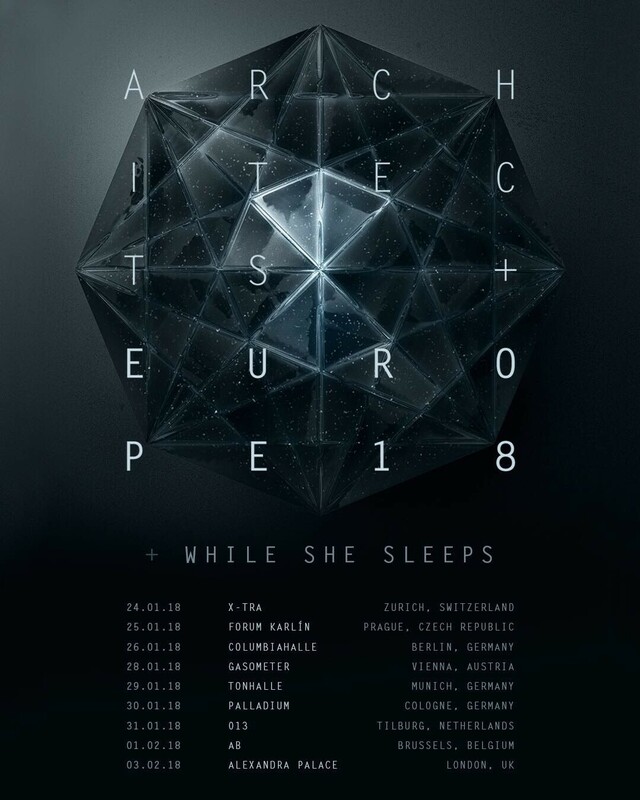 Architects play London's Alexandra Palace alongside While She Sleeps and Counterparts in February. Tickets are on sale now.